1. Various mountains are believed to be the inspiration behind this iconic image. Some believe it to be Utah’s Ben Lomond mountain, while others claim it to be the Italian side of Monviso. In some versions it bears striking resemblance to Pfeifferhorn mountain and in others to Peru’s Artesonraju. Which image? Answer: The Paramount Pictures logo. 2. Lady Godiva appealed to her husband to reduce the oppressive taxes he levied on the town people. He agreed to do so provided she rode naked through the town. Legend has it that Lady Godiva sent word to the town folks and asked them to avert their eyes as she rode by. Out of respect for Lady Godiva, they all complied with her wishes. All expect one who couldn’t help but sneak a peek. Who? 3. In 1882, a satirical obituary stated that English cricket had died. The obituary further added that the body will be cremated and the ashes taken to Australia. What is this story believed to be the origin of? 4. This light weight, sheer fabric is made by placing a tissue paper between two layers of the material being sewn together. After sewing, the tissue paper is carefully ripped out. Initially made of silk, today cotton and synthetic materials are also used. The name of this fabric means rag in French. What fabric are we talking about? 5. This company’s logo is the female personification of America. Given the changes to the logo over the years, the company hired Michael Deas to return the logo to its classic look. Michael hired Jenny Joseph, a graphics artist for The Times-Picayune, as a model. He wrapped a sheet around her and asked her to hold a regular little desk lamp over her head. Though almost 20 years old, this logo is still in use by the company. Which company’s logo? 6. William was working as the public relations director at Loyola University of Los Angeles. He participated as a contestant on the Groucho Marx quiz show ‘You Bet Your Life’ and won $10,000. This enabled him to quit his job, retire to a remote chalet of Lake Tahoe and work full time on writing a novel. Which novel, inspired by a 1949 case of demonic possession that he heard about at Georgetown University, did he write? Answer: The Exorcist by William Blatty. 7. Stanley Morrison, designer & printing historian, publicly criticized a particular British newspaper for its poor typography. The newspaper hired Morison as a consultant to produce a new, easy-to-read typeface for the publication. Morison worked with an artist Victor Lardent and created something that enhanced legibility and economy of space. What? Answer: Times New Roman font, created for the British daily national newspaper The Times. 8. This term is derived from the Greek word for an animal sacrifice where the whole animal is completely burned and offered to the Gods. Earlier, the word was used in a generic sense to denote great massacres. Which word? Answer: Olos in Greek is whole and kaustos is burnt, giving us the word Holocaust. 9. Silbo Gomero is a language used by the inhabitants of La Gomera in the Canary Islands. They use this language to communicate across deep ravines and narrow valleys. This language was declared as a Masterpiece of the Oral and Intangible Heritage of Humanity by UNESCO in 2009. What is unique about the language? Answer: Silbo in Spanish means whistle. The entire language is whistled. 10. In 1700s, the deer skin was a common medium of exchange between the trading settlers and the native Red Indians in America. Both the parties agreed that each deer skin was worth a dollar and thus it became an important unit of commerce on the American frontier. This story is widely believed to be the origin of what word? Answer 1: Buck, the slang term for a dollar. 11. This gaming company was founded in 2007 and its first game was Texas Hold’Em Poker. Named after the deceased bulldog of the founder, it uses the silhouette of a bulldog on a red background as its logo. Which company? 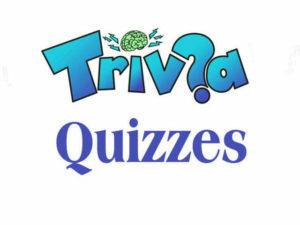 Answer: Zynga, the company behind Farmville & Mafia Wars. 12. This actor is an only child of George (a comic artist) and Irmelin (a former legal secretary). The story goes that pregnant Irmelin was looking at a painting of a famous Renaissance artist in an Italian museum when he first kicked. His father took this as a cosmic sign and named him after the artist. Which famous actor are we talking about? Answer: Leonardo diCaprio, named after the Italian artist Leonardo da Vinci. 13. Procter and Gamble started as a soap and candle company. With the invention of the light bulb, the company dropped its focus on candles. Additionally, to increase their brand awareness they started sponsoring various programs on radio. What common name was given to these programs? Answer: Given Proctor & Gamble’s focus on soaps, the TV programs were called Soap Operas. 14. This product was first described by Edward Bellamy in his 1887 novel ‘Looking Backwards’. The product in its current form was born when Frank McNamara had a dinner in New York’s Major’s Cabin Grill. After the dinner, when the bill was presented Frank realized that he had left his wallet at home. Frank and his partner came up with a product to avoid such embarrassing situations in the future. What product? 15. A popular 17th century Chinese concoction of pickled fish and spices called “kê-chiap” was picked up the English explorers. The English settlers took this concoction with them to the American colonies. Many variations of this concoction were created and the tomato-based version became very popular. How do we know this variant today?